Of the myriad ways in which identities are constructed, telling the origin of something often acts as a natural authorizing statement. While many folks might interpret this sofa as nothing more than a place to sit down, the description above implies that it’s part technological wonder, part artistic expression. In short, knowing the origin of this couch – its designer, his background, his employer, its first intended function, etc. – validates not only the aesthetic appeal of a magenta sofa, but more than that, it serves as an endorsement of its price (which, in this fabric, is $7248.00 USD). Notice anything here? While the lengths of the descriptions are certainly similar, the Target sofa lacks an origin narrative. There is no presumed insight into the designer’s mind, no story behind the café where the sofa’s design first entered his/her consciousness and was hastily scribbled onto a crumb-ridden napkin. 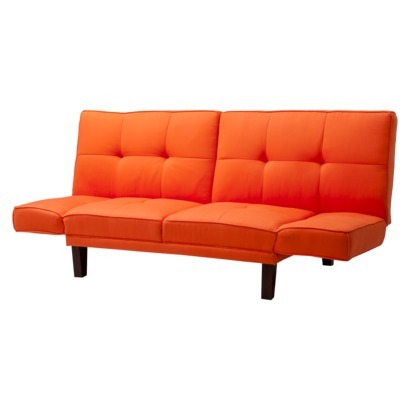 In short, the Target sofa has no history, and absent this past, it is merely a commodity. Part of the price difference between these two products is undoubtedly due to differences in the quality of materials, the precision of the labor, etc. But in the case of the former, we would be naïve if we did not recognize that we’re buying a very expensive story in addition to a piece of furniture. After all, both sofas were made to serve identical practical functions, and although not guaranteed, perhaps even both would withstand the test of time similarly well. But because one sofa has had a mythical “life” that the other has not, this claim to an origin of some symbolic value actually ends up providing literal worth in dollars and cents. Humans, it seems, do the same thing with each other. Consider how we daily engage in origin-telling as we trace ourselves back to royalty, tell how we’ve triumphed over childhood traumas, or even describe what fraction of Native American blood courses through our veins. Both religions and nations are famous for their origin stories, which are almost always intended to impart a degree of uniqueness, strength, and authenticity that others simply can’t match. 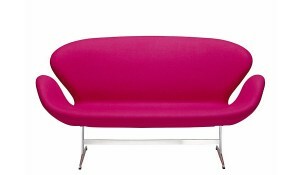 Just as with the pink sofa, these are origin stories that describe how one is to be contextualized, and often, valued.